Carol and Paul Glenn on their wedding day in December 1969. It wasn’t your average pick-up line. But the woman of Paul Glenn’s dreams was sitting one booth over at a Howard Johnson’s in New York City, and he had to say something—anything—to strike up a conversation with her. 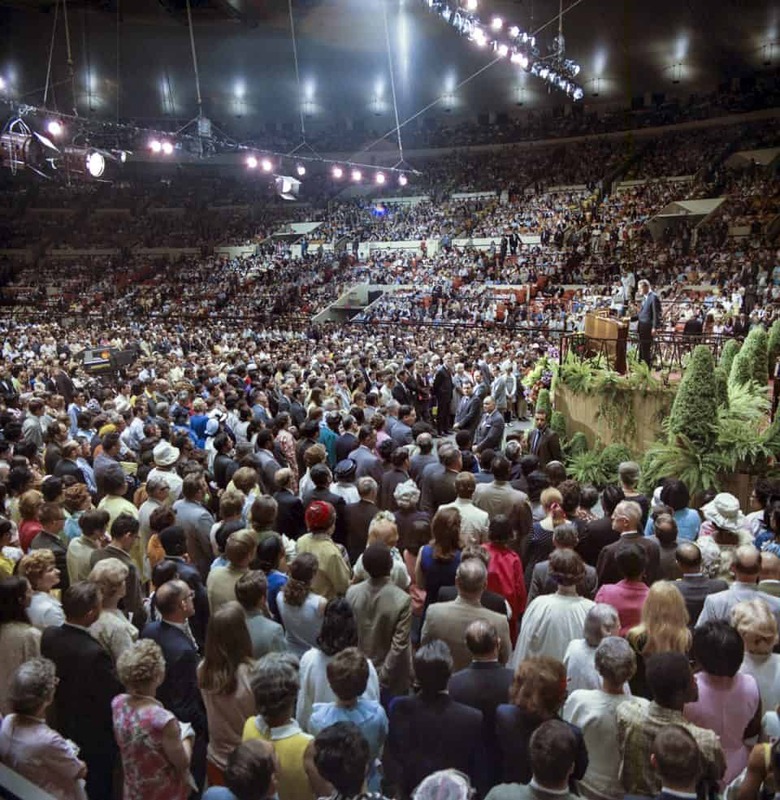 It was June 1969, and the 10-day Billy Graham Crusade at Madison Square Garden was wrapping up at the end of the week. Paul had flown up from Texas with his buddy from seminary. “We were young and foolish, so we just struck out on a lark,” he said. They’d never been to a Billy Graham Crusade—or to New York City. They stayed at a YMCA in Manhattan and attended the Billy Graham Evangelistic Association’s School of Evangelism during the day; in the evenings they volunteered at the Crusade. They often ended the night at a nearby Howard Johnson’s restaurant. 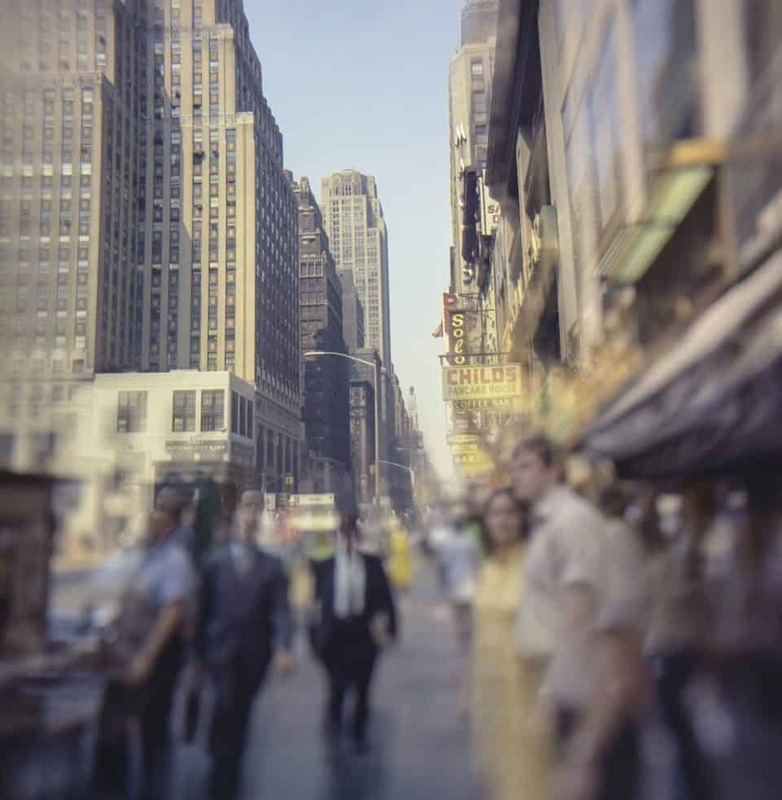 Billy Graham’s longtime photographer, Russ Busby, took this photo of New York City during the 1969 Crusade. It’s unclear whether some polite laughter followed or if it was just crickets and the clanking of forks. Either way, his cheeky inquiry didn’t have the intended effect. Her name was Carol, and she was from Reading, Pennsylvania. She had resolved to make her time at the Crusade all about her and God; she had no intention of being distracted by a quirky suitor from Texas. But she couldn’t get rid of him that easily. Thousands of people crowded onto the arena floor each night when Billy Graham gave an invitation to publicly accept Jesus Christ. Paul Glenn, who was a seminary student at the time, was one of the trained counselors who talked and prayed with people who came forward. In a city of 7.8 million, with 250,000 people attending the Crusade that week, the odds of Paul and Carol running into each other again were not good. They both kept busy, with Carol in the choir and Paul serving as a trained Crusade counselor. His job was to talk and pray with people who walked down to the arena floor when Billy Graham invited them to accept Jesus. Over the course of the event, 10,000 people indicated making commitments to Christ. Before he knew it the experience was nearly over, but there was one last thing he hoped to see before heading back to Texas. Being a history student, he wanted to view the Statue of Liberty from the deck of the Staten Island Ferry. He planned to make the trip with his friend after the final Crusade event. You can imagine his excitement when he ran into Carol at the Howard Johnson’s on that last evening—and how his heart must have soared when he found out she and her friend were also planning to ride the ferry that night. The two parties decided to meet up after the Crusade and go together. No choir jokes this time. Paul knew he only had one more chance to speak with Carol before they both said goodbye to NYC. Their conversation quickly turned to matters of faith. Carol had recently accepted Christ after completing her first year of nursing school. Carol’s parents had given their 19-year-old daughter permission to make the three-hour journey to attend the Crusade. She had taken a bus up to New York with a girlfriend from church, and they stayed at a home for furloughed missionaries. The night the young group of new friends stepped onto the massive ferryboat, Carol found herself intrigued by the seminary student from Brownsville, Texas, who didn’t talk about the same tired topics as most other men she had met. He was interested in how she became a Christ follower. Meanwhile, Paul seemed to forget why he boarded the ferry in the first place. It was a round trip, so he had two opportunities to lay eyes on Lady Liberty. 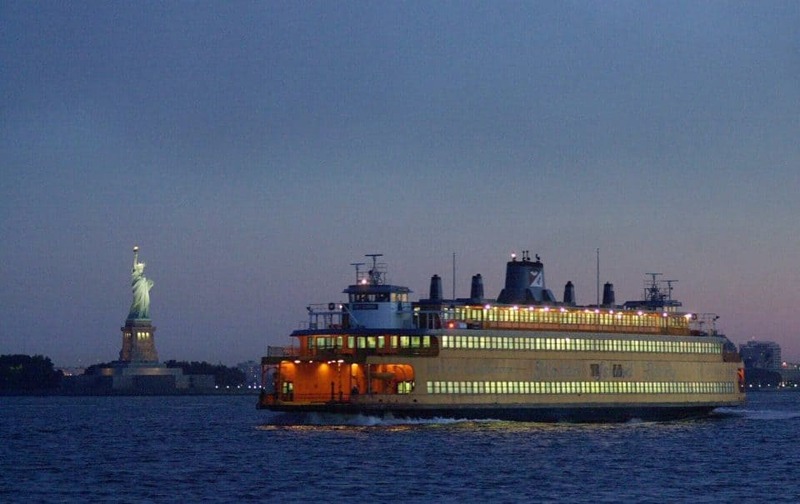 The Staten Island Ferry is known for offering beautiful views of the Statue of Liberty. Paul Glenn, who was a history student and was looking forward to seeing the statue, says he missed the view on both legs of his round trip. When they got off the boat in Manhattan, everyone went down into the subway to head back to where they came from. Instead of exiting with his friend, Paul asked if Carol wanted to keep riding around and talking. They may have both been a little surprised when she agreed. “It was just us riding the subway in New York City,” Carol said. Plus, a few other late-night passengers who came and went as night turned to morning. Sometime after midnight, they resurfaced to walk Carol back to where she was staying. Paul was still in the suit he had worn to the Crusade. Before they said goodnight, he asked her a question, and it was certainly not about choir practice. He got down on one knee and asked her to marry him. They tell this part of the story together, seamlessly alternating from one to the other. And that’s what they did. Paul got back to the YMCA around 3 a.m. He had to catch a flight back to Texas later that day, and Carol was going home to Pennsylvania. Once the pair returned to their homes, they spent hours on the phone together. Paul also liked to send the occasional message via the postal service. But don’t picture a long, sappy love letter. One of his greetings was in the form of a small, square-shaped piece of lumber with a knothole in the middle of it. “And it came that way!” Carol said. The rest of their brief courtship consisted mostly of long-distance calls, along with a few cross-country trips to meet each other’s families. Paul’s mother, who had been widowed for quite some time, embraced Carol immediately. Carol’s parents were a little more skeptical. “But they put up with me,” Paul said. It was a glorious moment, but it delayed their airport arrival. Carol and her 50-pound suitcase hadn’t reached the plane in time. When the new date arrived, a rare Christmastime nor’easter dumped snow across Pennsylvania, where they were getting married. The snow kept the cake and the flowers from getting there but amazingly didn’t stop Paul’s mother from making the nearly-2,000-mile journey from Texas. As flights were cancelled all across the northeast, she was the sole passenger on board a puddle jumper from Washington, D.C., to Reading, Pennsylvania. Initially, the pilot couldn’t land in Reading because of the snow. While the runway was cleared, he flew her back over Washington, D.C., and gave her an aerial tour of the capital. Since Paul’s mom was the only one from his side who could attend the wedding, Carol’s brother was the best man—a role Paul says he continues to fill nearly 50 years later—and he rounded up some of his buddies to serve as groomsmen. Paul had never met any of them, but none of that seemed to matter; he was marrying the woman of his dreams just six months after meeting her. To sum up the 49 years that followed, Paul and Carol have served the Lord together. 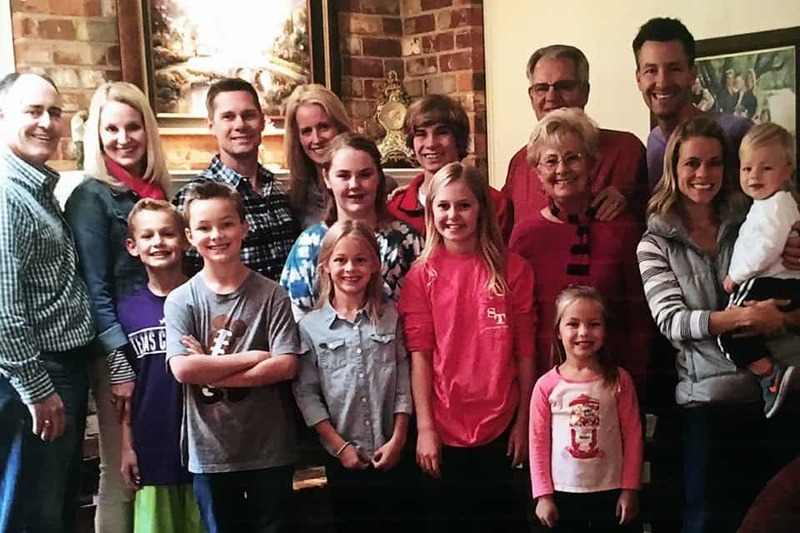 “God called us into starting churches, and that was our longtime job,” Carol said. For 17 years they helped plant churches in Pennsylvania, Oregon and New Hampshire through Southern Baptist Home Mission Board. After that, they moved to Texas where Carol worked as a nurse and Paul worked with the elderly, eventually becoming a hospice chaplain. They had three children along the way, each of whom are now married and live within an hour’s drive of the Glenns’ home in Fort Worth. 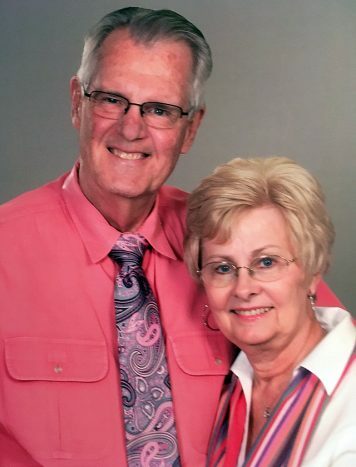 Next year, Paul and Carol plan to celebrate their 50th wedding anniversary on a cruise with their whole family, including eight grandchildren. As they look forward to what the future holds, they know they can always pause and look back at God’s faithfulness in bringing a Texas guy and a Pennsylvania girl together through a Billy Graham Crusade—and a Howard Johnson’s—in the heart of New York City.